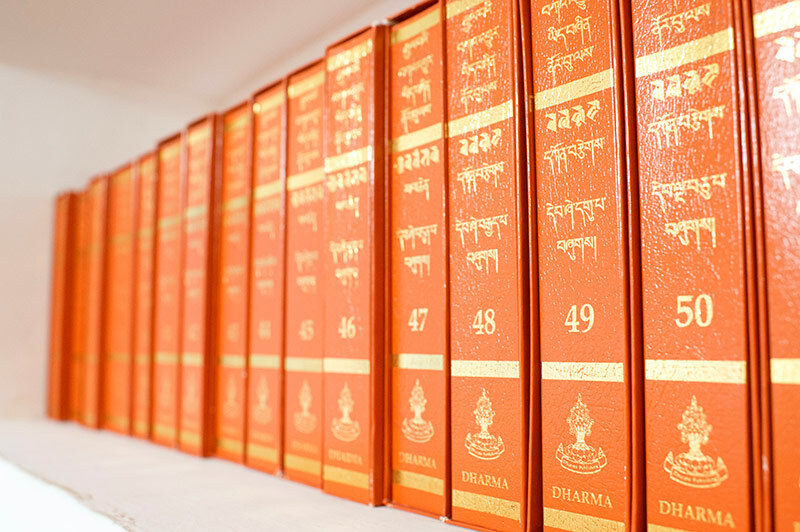 The Tibetan Dictionary Project began in the spring of 2012, it was conceived by Venerable Lobsang Monlam. 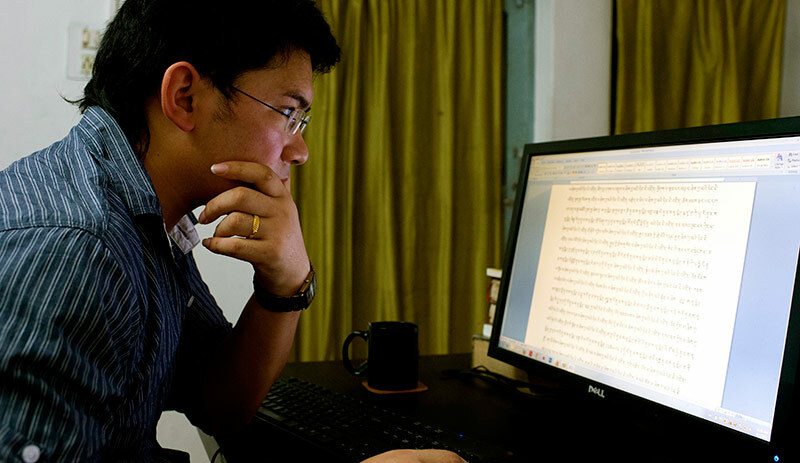 He is the creator of the most popular Tibetan computer font, named after him called ‘Monlam.’ Lobsang-la has been actively involved in Information Technology for ten years now and has single handedly developed critical software with which to advance this incredible project. The project will take a total of nine years to complete (a fraction of the 120 years and counting that oxford has put in!) and is a massive commitment. 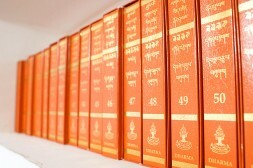 The goal is to create a Tibetan dictionary to rival the likes of internationally renowned Oxford and Stanford dictionaries. In fact one would not be wrong in saying that this project goes even further than those dictionaries – it will also include Buddhist philosophical terms, history-related terms, scientific terminology and grammatical language. The team working on this project consists of a seven- person strong staff that is dedicated to the project on a full- time basis. The Dalai Lama Trust is funding the complete salaries of these employees. In addition to the permanent seven, there are about forty monks from different Buddhist traditions contributing as well. It does not end even there, with the help of various volunteers, the team has put up a website (www.monlamit.org) welcoming input from anybody interested. Of course this is a non-profit project that aims to keep the Tibetan language and culture alive. 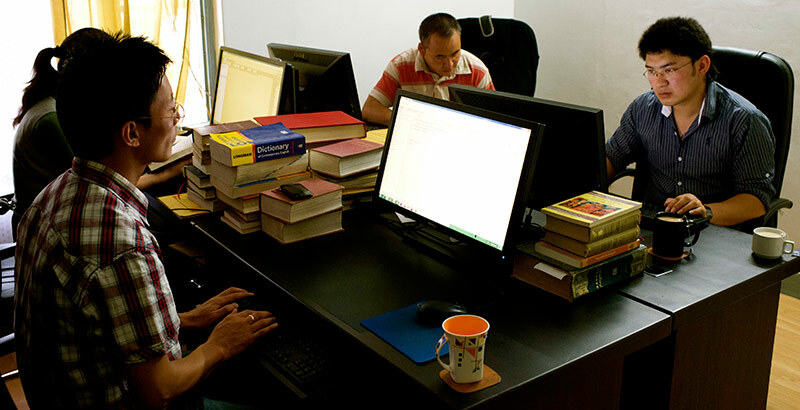 They have at their disposal 50 published dictionaries and thousands of PDF’s to look through. 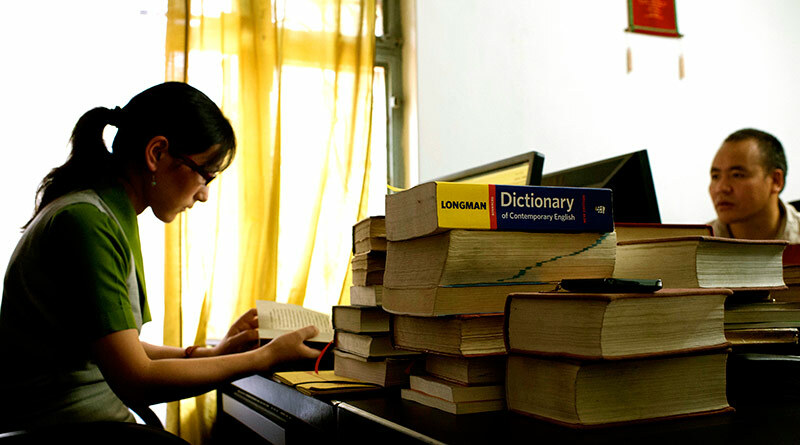 Though so many Tibetan dictionaries already exist, they are written by private individuals, and many are projecting their political bias or oppression through their definitions. This dictionary is primarily to serve as a politically unbiased, academic and inclusive guide for anybody studying Tibetan, be it from Himalayan regions, Tibetans in Tibet, Tibetans in exile or foreigners studying the language. The archive which is to boast 2,00,000 words will be beneficial for all those interested and will mark a milestone in the preservation of this unique and rich culture.